There are 124 seats in this airplane. 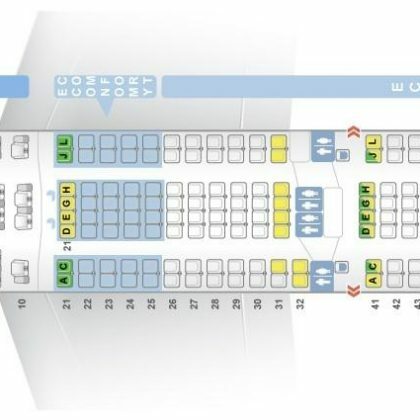 Boeing 737-300 operated by Lufthansa has 2 classes of seats: Business and Economy. The number of seats in each class depends on the demand. All the seats in this airplane are standard. In Business class the middle seats, i.e. the seats D and E are left empty (not sold). The seats 1AC and 2DF have less space for passengers’ legs because of the bulkhead position, have no floor storage during takeoff and landing and are narrower than other standard seats as the tray tables are in the armrests. Close location of the galley may also cause discomfort. The seats 8A and 8F are missing windows. The seats of the 11th row are less reclining as they are located in front of emergency exit. Passengers of the seats of the 12th row will take advantage of extra legroom and full recline of these seats. These seats are considered good seats. 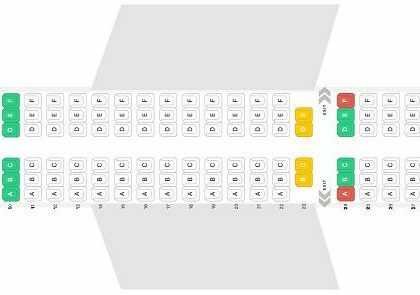 The seats of the last 26th row are bad seats as they may have limited recline or no recline at all and are located close to the lavatories and galleys.